Seolhyun and Kim Woo-bin are picked as the best models by the Korean Advertisers Association, its official said. 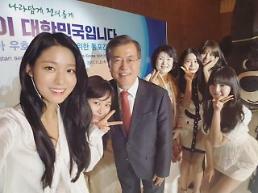 AOA's Seolhyun had gained the fans' attention since last year and became one of the hottest female celebrities, appearing in many advertisements including commercial films and printed advertising images. Actor Kim Woo-bin also became the brand model for "Maxim" instant coffee this year. The brand is acknowledged by South Koreans as promoting the most influential and popular celebrities as its model. Along with the two top celebrities, hit drama "Descendants of the Sun" was chosen as the best drama and "Fantastic Duo" was chosen as the best TV show. The official awarding ceremony will be held on October 20 in an annual event at Seoul's Chosun Hotel.